From left: Profs. Melody Swartz, Supratik Guha, David Awschalom and Paul Nealey discuss molecular engineering research being conducted at the University of Chicago and Argonne National Laboratory. Prof. Matthew Tirrell, director of IME and deputy laboratory director for science at Argonne, moderates the panel. Imagine unbreakable encryption, room-temperature superconductors, inexpensive molecular sensors, a cure for cancer. These are the challenges molecular engineers are taking on. These and other promising technologies were explored during “Future Science: Small Scale, Big Impact,” a presentation by scientists and engineers from the University of Chicago’s Institute for Molecular Engineering. The program, part of the UChicago Discovery Series, showcased research being conducted at the University and Argonne National Laboratory. 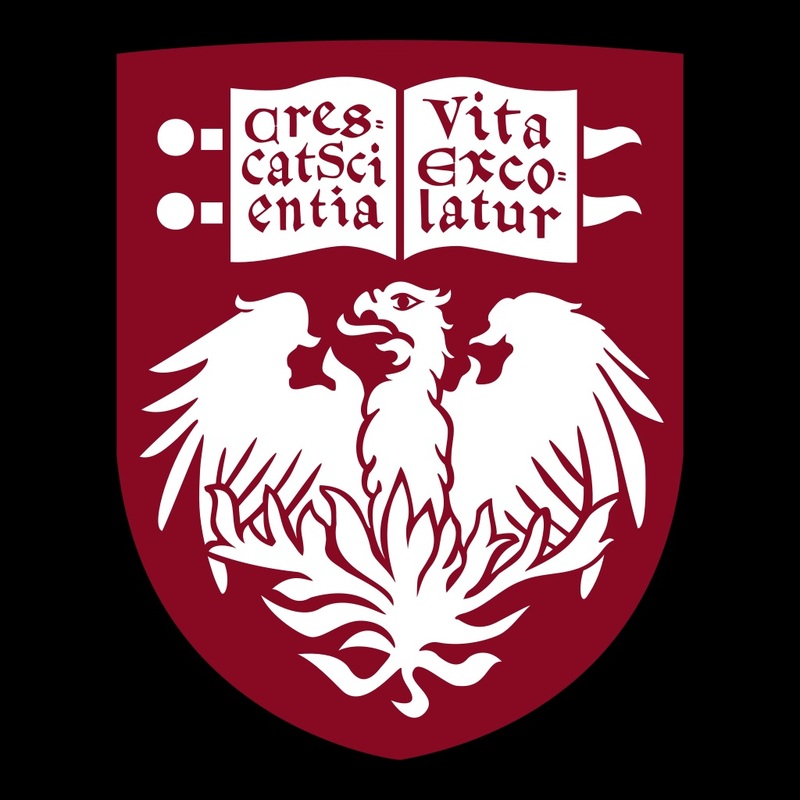 “We’re creating not only the first engineering program at the University of Chicago, but really the first of its kind in the world,” said moderator Matthew Tirrell, director of IME and deputy laboratory director for science at Argonne. “Engineering is about taking science into society and doing useful things for society,” he said. The program featured four speakers. David Awschalom, IME’s deputy director and an expert on spintronics and quantum information engineering, spoke about how some of the technology dreamed up long ago in Star Trek episodes, have actually become reality. The show’s universal translators and personal access data devices are today’s translation apps and tablet computers. Transporters, though, are still a work in progress, but quantum engineering is now enabling teleportation, a related technology operating at the level of single particles. Awschalom’s group is harnessing the way electrons spin to make highly sensitive sensors, build a framework for quantum simulators to design and test pharmaceuticals, develop tamper-proof encryption, bring medical imaging to the molecular level, and other cutting edge devices. “We’re building technologies with single atoms, and when you do that, the laws of quantum physics determine their behavior,” said Awschalom, the Liew Family Professor of Molecular Engineering. Quantum probes have extraordinary sensitivity and “may ultimately reveal the exact structure of molecules to determine their structural-functional relationships. “Students here are even taking quantum probes and placing them inside living cells,” he added. These probes “act as beacons, looking at the electromagnetic and thermal properties of the cells and sending that information out to the observer. Melody Schwartz, the William B. Ogden Professor of Molecular Engineering, noted that while engineers often take basic science and translate it into new technologies, engineers often do the reverse: use technology to understand basic science. For example, she and her collaborators are developing nanoparticle vaccines that can influence immune responses to tumors. These vaccines are designed to have surface molecules that look like a virus or bacteria, and Schwartz is researching whether these vaccines can activate immune system T-cells to kill tumors. Using protein engineering and nanoscale materials, this research is based on the fact the lymphatic system plays a central role in helping the immune system regulate immunity and make decisions about whether particular cells should be tolerated or killed. “The lymphatic system is a gold mine of information about tumors … such as the specific details of which proteins are being expressed and secreted,” she said. Targeting a lymph node that holds a metastatic tumor could manipulate the lymphatic system into using the information the system holds about that tumor to stimulate the immune system to fight the cancer. So far, Schwartz’s nanoparticle vaccines have been effective in mice when delivered to a lymph node to which cancer has metastasized. They have not been definitive when delivered to a lymph node on the other side of the body from where the cancer originated. Taken together, these results support the theory that the lymphatic system holds valuable information about a tumor, at least in mice. “Perhaps, instead of cutting out the lymph node of a patient (with cancer), we should target it and use (the information it holds),” Schwartz said. “Cyber physical systems that feature powerful yet inexpensive sensors made of nanoparticles will become ubiquitous,” said Supratik Guha, professor of molecular engineering and director of Argonne’s nanoscience and technology division. These systems will provide vast amounts of real-time data that will be used to measure and control pollution, electrical power consumption, water utilization, agricultural practices and other vital functions. “Nanotechnology has been around for about 25 years, but its ‘calling card’ will be what it does for sensors,” Guha said. “Nanoparticles are ideal for sensors because their properties are determined by the environment they’re in. They interact in different ways with light, magnetic fields, pressure” and other factors. For example, agriculture accounts for 70 percent of fresh water consumption. While working at IBM, Guha participated in an experiment at a vineyard that delivered water based on need rather than randomly. Using satellite data, each section was monitored for greenery—and then watered accordingly. “Over two harvests, yields and water efficiency went up by 10 to 20 percent,” Guha said. If agriculture could employ sensors to measure not only soil moisture but also dissolved nitrates, wind speed, plant disease, solar irradiance and other factors, tremendous savings could be realized, he concluded. approached a limit to place an ever-increasing number of transistors on a single computer chip, other techniques, such as self-aligned double patterning, filled the gap, said Paul Nealey, the Brady W. Dougan professor of molecular engineering and senior scientist at Argonne. Nealey pioneered a relatively new technique called directed self-assembly, which involves making a chemical pattern on a chip and then depositing what he calls “magic materials” that respond to the chemical pattern and assemble themselves into the desired shape and structure. Directed self-assembly is being commercialized in the context of semi-conductor manufacturing and applied to other areas, he added. For example, it is being used to make ion-conducting materials for membranes in fuel cells and batteries. 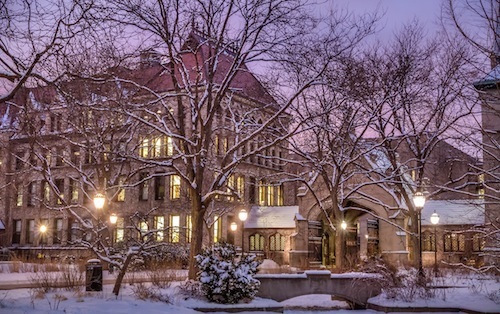 Free and open to the public, the UChicago Discovery Series is designed to share the transformative research being conducted at the University. Attending this program were members of the Maroon Kids, a group organized by IME alumni and friends to promote interest in science and engineering topics among children in grades 6-12. “Yes,” Schwartz answered. “New solutions will come from people who are interacting from completely different fields because they’re not stuck in one way of thinking about a solution. They’re coming at a problem from a fresh perspective and have multiple different perspectives.